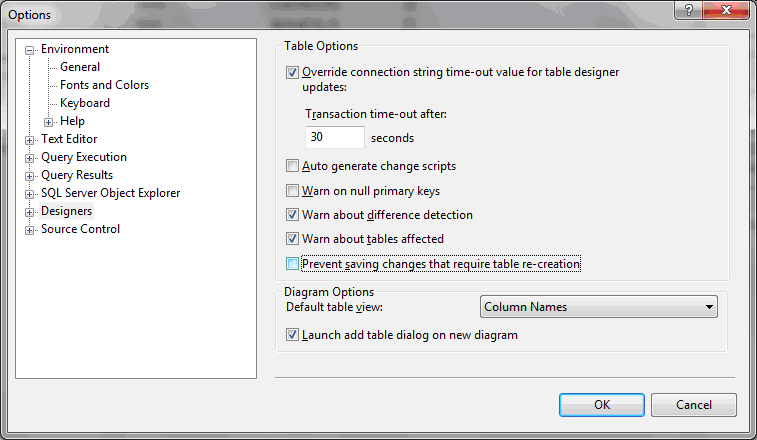 This is different than the default in Sql Server 2005, where you can automatically drop and recreate a table in the designer. 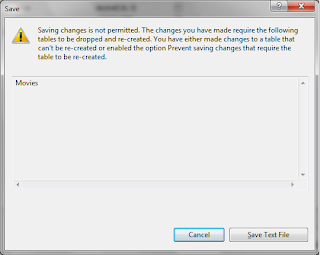 Solution is simple, and doesn't require you to lose your changes. 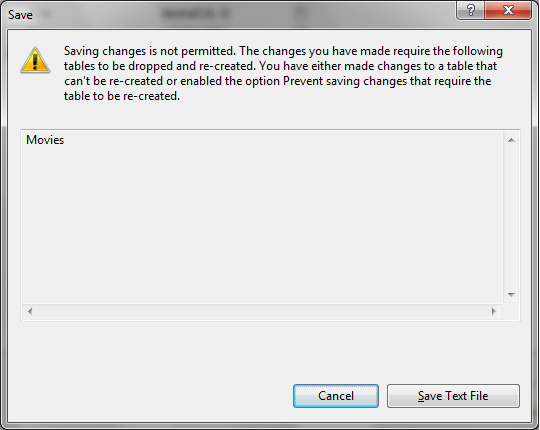 In Sql Server Management Studio 2008, go to tools à options, in the options window, left pane Designers, and on the right side uncheck Prevent saving changes that require table re-creation.